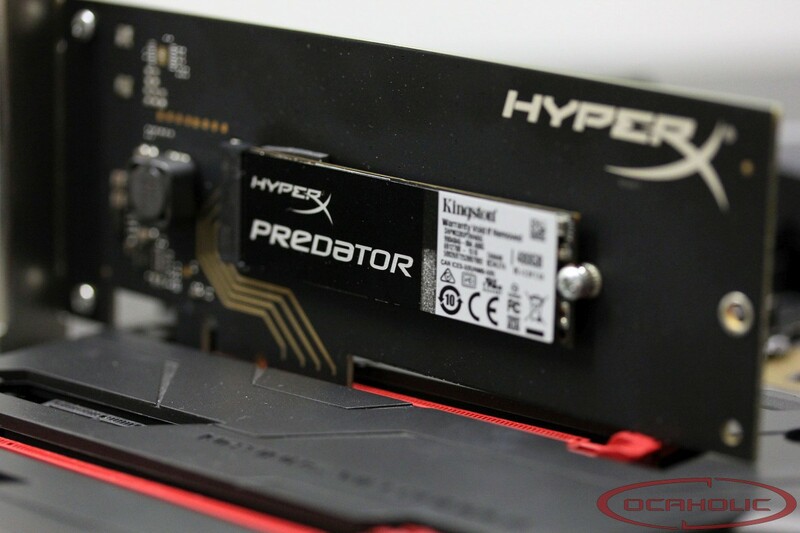 In essence the HyperX Predator PCIe is an M.2 SSD, which has been put on a PCIe adaptor card. Kingston is using a Marvell 88SS9293 controller and combines it with 19nm Toggle NAND from Toshiba. This combination should pack quite some punch and apparently we're curious to find out what this SSD can do. 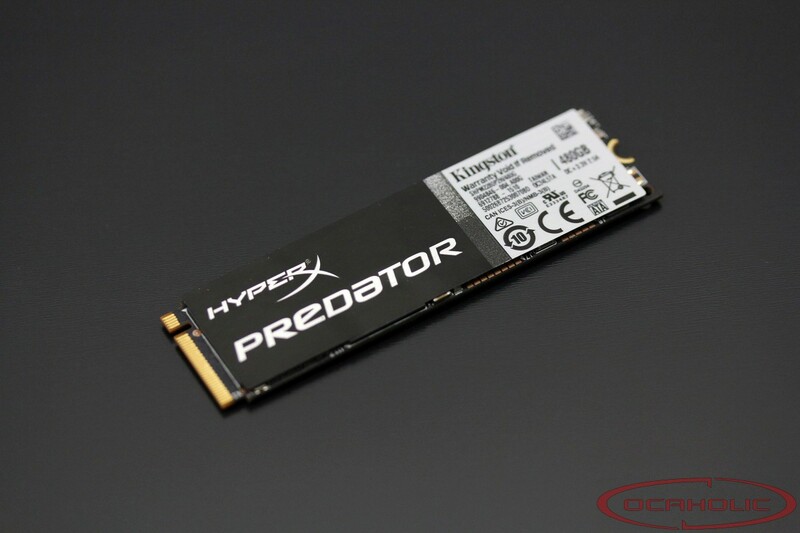 With the HyperX Predator, Kingston has a punchy M.2 SSD in their portfolio. With throughput rates reaching 1’400/1’000 MB/s for sequential read/write in the case of the 480 Gigabyte model, this is a seriously quick drive. In order to achieve these transfer speeds Kingston is using a Marvell 88SS9293 controller and A19 NAND flash memory chips from Toshiba. Meanwhile this controller is rather common since it’s really quick and thermals are perfectly in line. There is a total of eight NAND flash chips, which results in 64 Gigabyte capacity per chip. Kingston is using two additional 512 Megabyte DDR3-1600MHz DRAM chips for caching with their own branding. The NAND flash memory as well as the controller and the DRAM have been put on a small PCB with M.2 interface, which connects to the motherboard using four PCI Express 2.0 lanes and complies with M.2 2280 standards. This particular drive we’re reviewing here, also comes bundled with a PCI Express adapter card, which allows you to use the HyperX Predator also on motherboards that don’t have an M.2 slot. There is also the possibility that your motherboards M.2 slotis only capable of running PCIe Gen2 x2, which would limit the performance to 1’000/1’000 MB/s sequential read/write. In this case the PCIe adapter card is going to be helpful as well since it will open up the bottleneck and connect the SSD using four PCIe Gen2 lanes from the PCIe slot. The HyperX Predator is without a doubt a high-end product and that’s what the packaging reflects as well. Kingston places the SSD, which has been pre-mounted on the PCIe adapter card, in a foam mold. That foam mold is then in a nice cardboard box with good looking design. The delivery also includes a low profile bezel, a HyperX Sticker, a manual and an Acronis True Image key. A quick look at the warranty shows, Kingston is backing this drive up with a three years plan and they mention that the 480 GB model offers endurance rated at 882 TBW (Terabyte Written), whereas the 240 GB model is rated at 415 TBW, which translates to 1.6 drive writes per day and 1.7 respectively.